# of QPI Links. Processor Number. Processor Base Frequency. Max Turbo Frequency. Instruction Set. Instruction Set Extensions. Advanced Technologies. Low Halogen Options Available. Socket type Socket 1366 (LGA1366). Frequency (GHz) ?. Maximum Turbo frequency (GHz) 2.8. Bus speed (MHz) ?. Core stepping B1. L3 cache size (MB) 12. Case temperature (°C) ?. Number of cores 6. 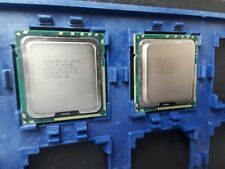 Xeon CPU/Processors. Core 2 CPU/Processors. Dual Core CPU/Processors. Point of Sale. Bare CPU/Processor only. Apple & Mac. Cables Connectors. Power Protection. We will provide you best service and high quality products. DO NOT send without communication. Other countries. Asia countries. PART NUMBER SLBV8. 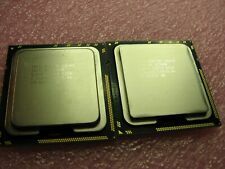 PROCESSOR NUMBER L5640. INCLUDE WITH PROCESSOR. INSTRUCTON SET 64-BIT. WEIGHT 1LB. 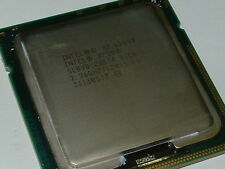 Model: Xeon L5640 2.26GHz 6-Core (SLBV8). Summary: 1 used CPU. Sold as used and in working condition. Condition: Used, fully functional (may have silver paste on it). Computer restart: 1; motherboard, 2; RAM, 3; processor. 4; motherboard, 'your motherboard needs to upgrade the BIOS'. BIOS can't save: This is CR2032 can't save, you can try to change it. Trending at $11.90eBay determines this price through a machine learned model of the product's sale prices within the last 90 days. Excellent condition. I have 10 of them. Model L5640. Server - Hard Drives. Server - Processors. Dell Server Parts. HP Server Parts. Rack & Rail Kits. Tape and Storage. Item Specifications. Doing so is against US and international law. May need a photo or 2, but will do everything possible based on your preference to either replace or RMA the item quickly. All we ask is the opportunity to correct them, in a way you prefer. SLBV8, 2.26 GHz Clock Speed. 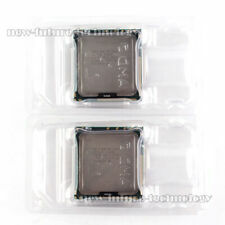 Socket Type LGA 1366/Socket B. If possible, include photos or video to assist in understanding the problem. We are not staffed to research/report compatibility concerns. Testing Procedure. INTERNATIONAL ORDERS. "The sale of this item may be subject to regulation by the U.S. Food and Drug Administration and state and local regulatory agencies. This unit has been used. SEE PHOTOS. All images taken in house of the unit(s) being sold, except for multiple quantities where item received will be in similar or better condition.